Wessex Garages, Bristol are proud to be an official Kia Approved garage. What does it mean if a car is Kia Approved? All Kia Approved Used Cars are 18 months old or less, and have covered less than 18,000 miles. All Kia Approved cars are hand-picked and ensured to meet strict quality requirements - meaning you can be assured that your car will be in prime condition. Kia pride themselves on the fact that they offer the longest warranty compared to other brands in the UK for used cars. 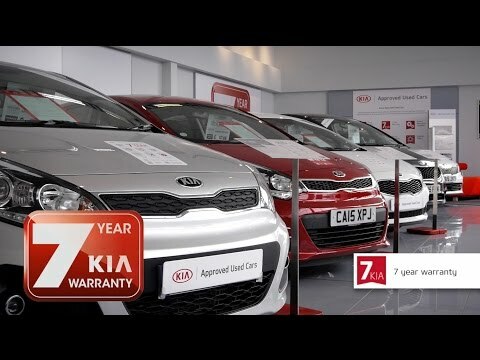 All Kia Approved Used cars come with a 7 year warranty, from the day you drive away with your vehicle. All Kia Approved Used cars come with full service history information, completed by qualified Kia technicians and thoroughly valeted to the highest of standards, meaning it feels and appears brand new. Let Kia Insurance Services quote to insure your Kia Approved Used car and while you are deciding they will provide 7 days of free comprehensive insurance cover, subject to eligibility. Cover is immediate so you can drive your new Approved Used car away there and then. No waiting and no hassle! Call 0330 102 8826. Every Kia Approved Used car is certified by Experian to be clear of major insurance claims for accident manage, and to be free of any owed finance - meaning you can purchase without worry. All images from our Kia Approved branch on Feeder Road in Bristol. Call 0117 916 5656 to find out more. Wessex Garages Kia, Feeder Road, BS2 OSB.